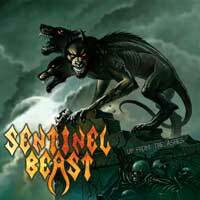 Sentinel Beast are a speed metal thrash band from California led by female vocalist Debbie Gunn. Their sound is heavily influenced by the NWOBHM movement and the growing thrash metal movement of which they were a part of. "Depths of Death" was their only full-length album, though they previously had recorded several demos which were heavily traded in the underground metal scene. They also had a song on the popular Metal Massacre series. The songs are mostly fast and furious with ripping solos and fantastic vocals. Debbie's vocals are slightly harsh and definitely give the band some distinction from the many speed and thrash metal bands coming out of California in the 80's. The last song on this album is a speed metal versioin of Iron Maiden's already speedy song "Phantom of the Opera". Of particular note, bassist Michael Spencer went on to join Flostam & Jetsam after the departure of Jason. "Up from the Ashes" is a compilation of the band's first three demos before they finally signed with a label and released their only album "Depths of Death". Most of the tracks from these three demos are included on this Stormspell Records compilation. "Tonight, "Full Treament" and "Kill the Witch" are from the band's 1984 "Kill the Witch" demo. "Depths of Death", "Sacred Line", "Fight for Your Life", "Hell Affair" and "Beyond the Walls" are from the band 1985 "Depths of Death" demo. 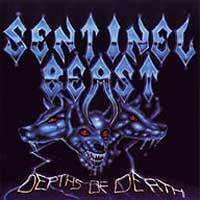 "Sentinel Beast" and "Dogs of War" are from the 1985 "Metal Massacre" demo. The band's eponymous song was also released on Metal Massacre VIII in 1986. "One Man's Cry and "Where Am I?" are from the band's second 1987 demo that was apparently recorded specifically for Metal Blade Records. Several songs from these demos were re-recorded on the bands "Depths of Death" record. As usual for anything released on Stormspell, the packaging is stupendous. First of all, the cover art is better than the band's full-length album. I'm sure the band would have loved to have had a professional cover like this for their full-length debut. As well, the nicely laid-out 16-page insert contains well written liner notes, lyrics, and rare photos from the Beast.